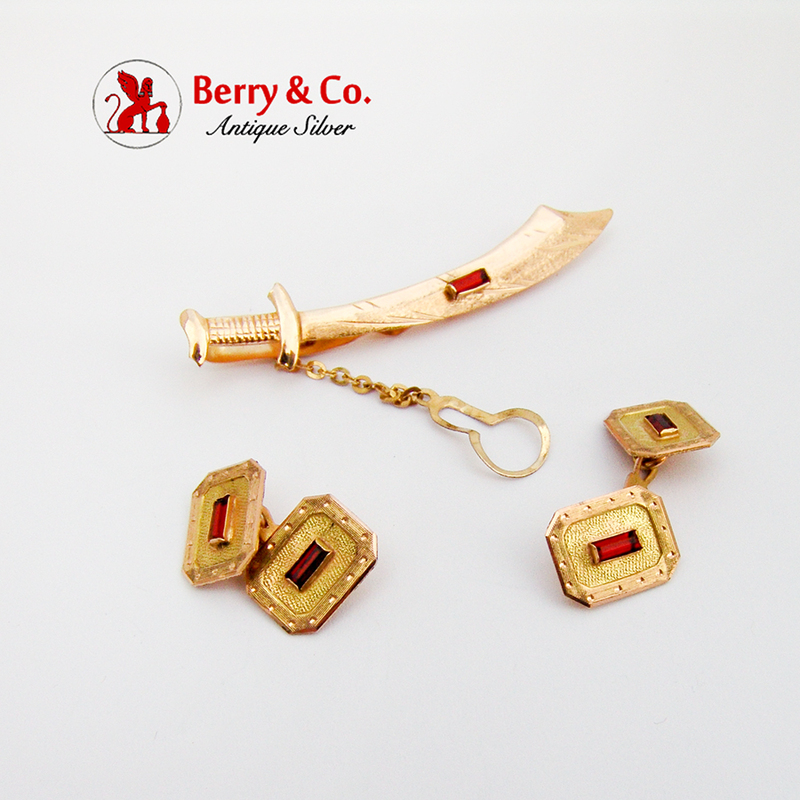 Ornate Scimitar Form Tie Bar Clip & Octagonal Cufflinks Set 18K (.750) Yellow Gold, Rectangular Red Rhinestone Accents c. 1920-1940, Italy. 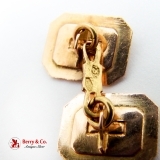 This incredible set measures: the tie clip is 2 1/4" long and 3/8" wide; the cufflinks are 9/16" long and 7/16" wide. Total weight is 10.7 grams.